As the twenty-first century faces a crisis of democracy and sustainability, this book attempts to bring academics and alternative globalisation activists into conversation. 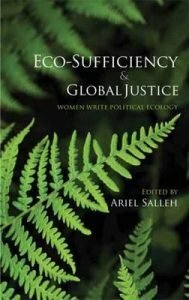 Through studies of global neoliberalism, ecological debt, climate change, and the ongoing devaluation of reproductive and subsistence labour, these uncompromising essays by internationally distinguished women thinkers expose the limits of current scholarship in political economy, ecological economics, and sustainability science. The book introduces groundbreaking theoretical concepts for talking about humanity-nature links and will be a challenging read for activists and for students of political economy, environmental ethics, global studies, sociology, women’s studies, and critical geography.